Stone Arch Books, 9781496531476, 128pp. 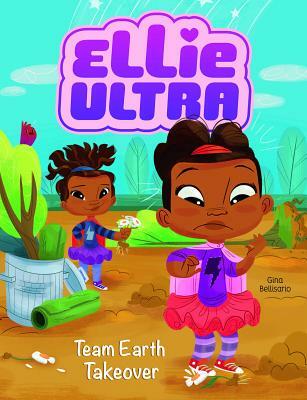 When her teacher assigns a new team project for Earth Day, Ellie can't wait to pair up with her best friend Hannah. After all, as a superhero, it's Ellie's job to save stuff -- including the planet When the project becomes more than her super-skills can handle, Ellie uses one of her parents' super inventions to create a copy of herself. But when Ellie #2 threatens to take over the project, it's up to the real Ellie to bring the project back down to earth.